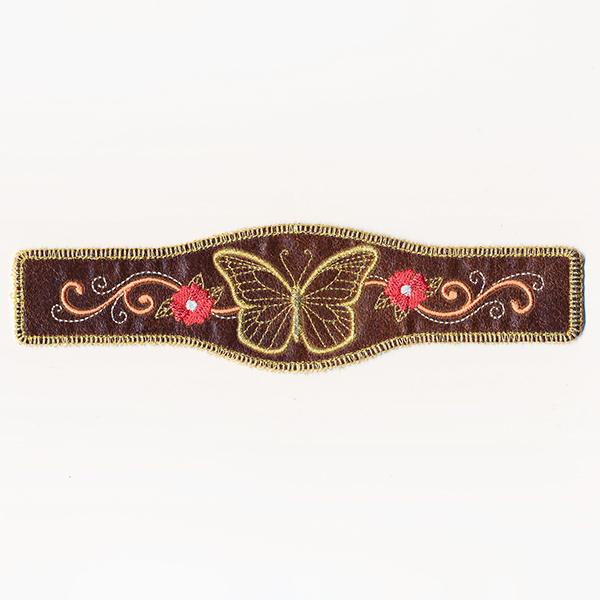 Satin stitches on faux leather create the perfect fashion accessory for your wardrobe. Project instructions will show you how to construct this design -- and even add a metal snap closure. 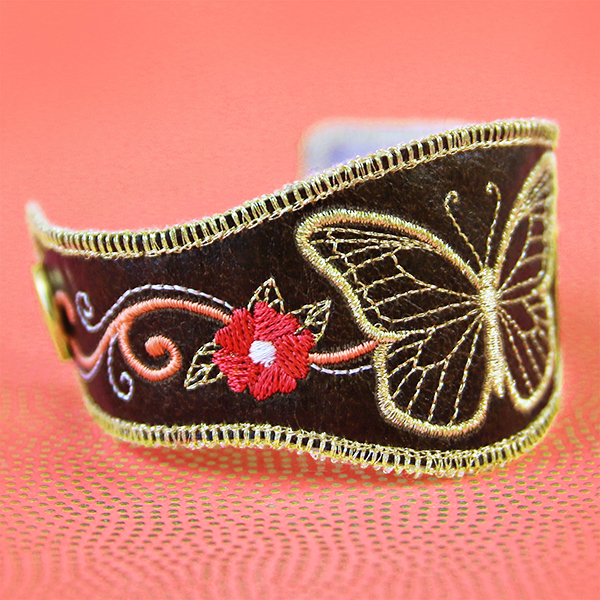 This design stitches diagonally in the hoop to make a finished bracelet about 7" long by 1.75" wide; fits a wrist up to 6.25" around.